On February 6, 2013, Springs Hosting successfully completed a Statement for Attestation Engagements No. 16 (SSAE 16) Type II audit formerly known as the SAS 70 audit for the second year. 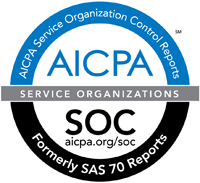 The American Institute of Certified Public Accounts (AICPA) replaced the SAS 70 with the SSAE 16. What is SSAE 16 Type II (Formerly known as SAS 70)? In 1992, the AICPA developed a set of guidelines for evaluating service organizations known as the SAS 70. The SSAE 16 is an enhancement to the SAS 70 and went into effect in June of 2011. The changes made to the standard will bring the US companies up to date with new international service organization reporting standards, the ISAE 3402. A SSAE 16 report, also known as a SOC-1 (Service Organization Control) report, is beneficial to both the service organization and its clients because it demonstrates that the service organization has implemented effective control objects and activities. The SSAE 16 report can aid the service organization’s clients in completing their own financial audits.